THE MAN WHO WOULD BE PRINCE: 'Dhirubhai will go one day. But Reliance's employees and shareholders will keep it afloat. Reliance is now a concept in which the Ambanis have become irrelevant,' said Dhirajlal Hirachand Ambani, arguably India's greatest entrepreneur ever, years before his death on July 6, 2002. His words have proved prophetic, as the Reliance juggernaut keeps rolling on towards excellence. 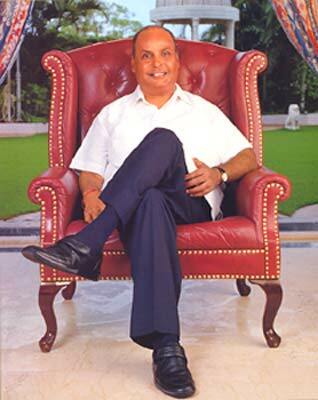 Dhirubhai rose from humble beginnings to found India's largest industrial empire and, in the process, became one of the world's richest men. He transformed the way big business operates and thinks in India. His death marked the end of a golden era in Indian entrepreneurship, but his values continue to guide the Reliance group, now run by his two sons, Mukesh and Anil.